Our policy has always been to use Australian made wherever possible. We are proud to endorse the Australian made Advance range. 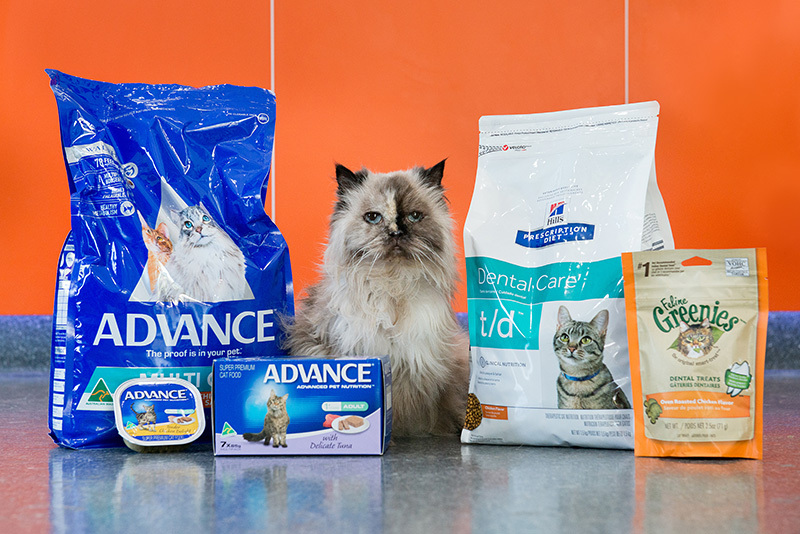 Advance combines world leading research with quality ingredients to provide an exceptional diet for your pet to ensure a healthy, long and active life. We stock the full range for dogs and cats and also have a frequent feeder program where you are rewarded with free product after repeat purchases. Our nursing team are provided with ongoing training updates about this range on a regular basis. They are here to help and educate you about pet diets generally, and wellness diets specifically. They will help guide you to the right wellness diet for your pet, for all life stages. We offer a full range of both Hills and Royal Canin Veterinary Prescription Diets which are prescribed by the veterinary team for pets with specific medical conditions. These special needs diets are available in both dry and wet formulations and are made with a precise balance of essential nutrients to meet the specific needs. 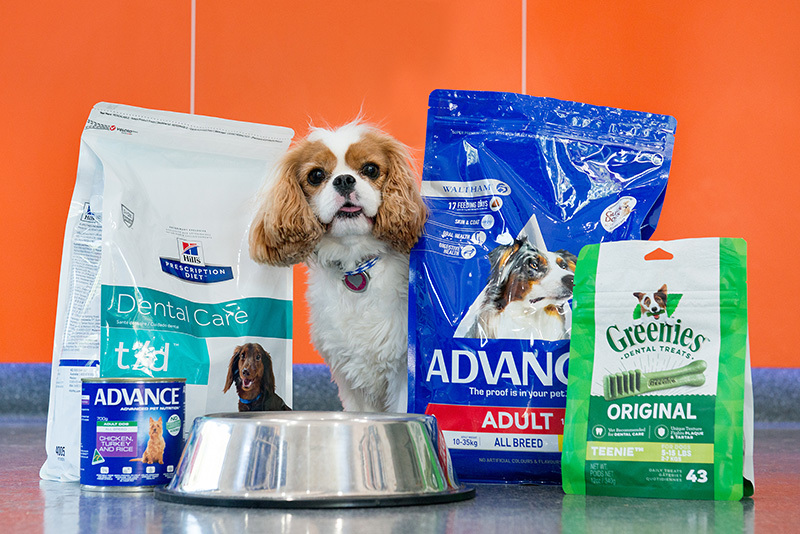 Our vets will make considered decisions about supporting pet diseases though specific nutrition, and if required, will guide you through prescription diet choices. Our team will provide comprehensive advice, based on your individual pet’s needs. Our general pet merchandise includes pet behaviour toys, collars and leads, grooming supplies, pet treats and chews, and much more. For any special needs, please discuss these with one of our team. We are devoted to enriching your pet’s life, and we know you like to spoil them occasionally! If required, we may be able to help with a special order for your 4 legged family member.